"One fact stands out when trying to understand the challenge for Search and Rescue (SAR) in Canada: the size of the operation. It covers over 15.5 million square kilometres." Canadian SAR efforts are Coordinated through the National Search and Rescue Secretariat. Ground Search and Rescue (GSAR) is conducted under the authority of the individual provinces and territories within Canada. This means each provinces provincial police have authority to run and conduct GSAR. Throughout the prairies and the territories this means the RCMP have operational authority to conduct all searches and call volunteer SAR teams and other professionals as they deem necessary. Hundreds of dedicated Dog Handlers and their Search Dogs; both members of the law enforcement community and volunteers spend hundreds of hours helping in SAR operations across Canada. Throughout Alberta much of the excellent training levels and cooperation is due to the quiet professionalism and dedications of the late Cpl. Jim Galloway of the RCMP. He not only raised the level of navigation training, but ensured both RCMP Dog Handles and Volunteers received this important training. 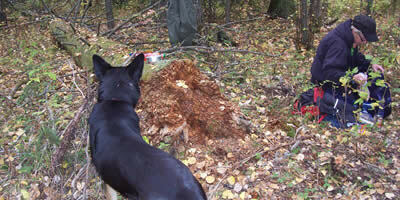 Ground Searches are complex and require both planning and preparation. Many organizations exist across Canada to help in training volunteers, keep regional search teams running, and reduced the numbers of SAR operations needed through Education. Support of these organizations is very important to the health of many SAR organizations and the SAR system in general. These dedicated teams of volunteers work closely with law enforcement and other authorities to ensure that there are enough feet on the ground to conduct a quick and properly run Search and Rescue operation anywhere in Alberta. It takes dedication, coordinating, and training to ensure that a volunteer team can conduct a search properly. These teams are constantly working to improve there skills as well as training new volunteers. 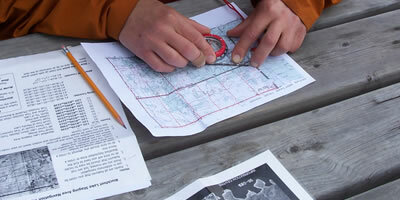 Excellent professionally taught Modern Wilderness Survival Training and Wilderness Navigation Training are required to create SAR personal who can be effective in a wilderness search. If you travel into the wilderness enough you are bound to get stuck and or be required to care for other who cannot travel out of the wilderness once found. It takes time and the best training available. Don't sell your SAR Team short and except nothing but the best training and equipment available.